A teenager has been charged following an alleged chemical attack in which a mother-of-three was badly burned and later died. 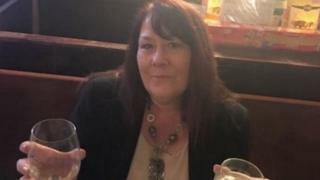 Joanne Rand, 47, was sprayed with an alkaline substance in Frogmoor, High Wycombe, on 3 June. She died 11 days later. Xeneral Webster, 18, of no fixed abode, has been charged with one count of attempted grievous bodily harm. He was remanded in custody to appear at Aylesbury Crown Court on 25 July. Police said Ms Rand had been in sitting on a bench when a fight broke out between a group of men and a bottle of liquid, thought to be an alkaline substance, was kicked and went over her. Ms Rand from Marlow was originally discharged from hospital but later readmitted. She died of her injuries on 14 June.